Ashlee and Graham’s wedding was one of my absolute favorites! These two are rays of sunshine all of the time and they just exude joy! Ashlee and Graham were just excited to marry each other and that showed all day throughout their wedding. I cannot even explain to you guys how much I love these two and how excited I am for them to finally be married! 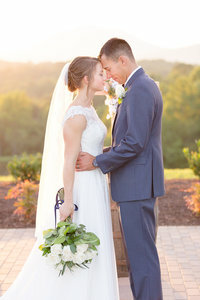 Ashlee and Graham got married at Braeloch on Glenburn Farms in Vinton, VA and it could not have been a more beautiful venue overlooking the mountains outside of Roanoke. We were all watching the weather constantly on Saturday morning hoping and praying that the rain would stop and that the sun would come out. Our prayers were answered and the sun came out as soon as we were planning on going out to start taking portraits before the ceremony; we were beyond excited! We ended up with the most beautiful sunset and they had the most stunning wedding! 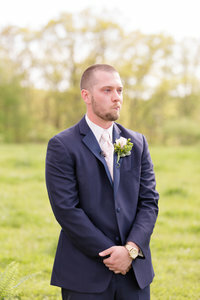 Here are my favorites from Ashlee and Graham’s wedding. I hope you love them as much as I do! These details! All of the heart eyes!! I die over these sparkly Kate Spade Keds! How cute is Graham’s gift to Ashlee!?!! May or may not have cried alongside Graham after seeing his reaction to Ashlee! These two were having the best time during wedding party photos! Ashlee and Graham were so much fun! Y’all! This sunset!! After a morning full of rain, we could not have been more thrilled to have a full-blown colorful sunset! Is Ashlee not the most beautiful bride!?! Ashlee and three of her bridesmaids did the most perfection dance routine to N’SYNC’s “Bye, Bye, Bye”!! I was the best thing I’ve ever seen at a wedding reception!